For the February playlist I didn't want to focus on "love" just because the month holds the date of Valentines, even though there are songs on this playlist that are love-themed. February is more than that and no this is not a single woman's rant manifesto. February, to me, is a period of losing and letting go or finding and gaining. Its the month you realize that those NYE resolutions are not panning out or that the new year has definitely settled in and its time to start looking forward and planning that summer vacation. So, February is a wild card, a mixed bag. Depending on who you are it can be anything. Lets not forget, that its also the month where spring begins to creep in, unless you're currently being hit by that crazy storm in the East...then I apologize. 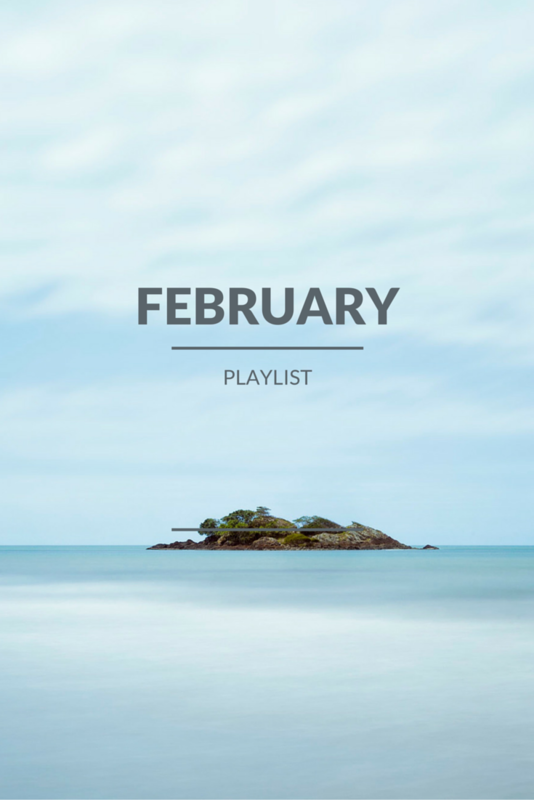 This month's playlist features just that. A mix of old and new, of new that feels old and of old trying to be new. It features the Stars, a long time old favourite of mine, covering Bob Dylan's "It Aint me Babe," a personal Dylan favourite of mine and on the other end it also features another long-time favourite, the Sam Roberts Band, trying on a new-less-rock-and-roll sound. It also features a new favourite of mine Michael Kiwanuka...I seriously don't know where he has been my whole life. Between Leon Bridges and Michael Kiwanuka I can build a home out of soul, melodies and good times that I would never want to leave. Keeping in this realm I found a good edit of "Is you or is you aint my baby" by Louis Jordan (popularized by Tom and Jerry) on soundcloud that I thought was worth sharing, even though nothing compares to the original! So I hope you enjoy this month's playlist! These are such great songs. Thanks for sharing!! Great playlist! Bonjour from France, Sand. So fun! I love discovering new music, will definitely be giving these a try! That WILDE song is everything right now! Thanks for sharing, I always enjoy discovering new music! Btw, awesome blog! I can't wait to look around some more. I love discovering new music and I definitely have not heard of some of these artists! Checking them out now!